Georgy Tchaidze possesses “fine sensibility and perfectly honed technique” according to The Telegraph in its review of the young Russian pianist’s Wigmore Hall debut. Since becoming 1st Prize Laureate of Honens International Piano Competition in 2009, Tchaidze has performed throughout Europe, North America and Asia to great acclaim, including debuts at Berlin’s Konzerthaus, Glenn Gould Studio in Toronto, Het Concertgebouw in Amsterdam, National Centre for the Performing Arts in Beijing, Oriental Arts Centre in Shanghai and Zankel Hall at Carnegie Hall in New York, BOZAR and Flagey Halls in Brussels and at festivals including Canada’s Toronto Summer Music, Ottawa International Chamber Music, Germany’s Kissinger Sommer, Young Euro Classic, Switzerland’s Verbier, Septembre Musicale, Lucerne, Norway’s Lofoten International Piano, Festspiellene i Nord-Norge and France’s Piano aux Jacobins. His performance of Rachmaninov’s second piano concerto with Canada’s National Arts Centre Orchestra with Pinchas Zukerman was met with praise: “commendable clarity … unusually powerful for a performance of so little ostentation” (Ottawa Citizen). In the summer of 2015 Georgy Tchaidze was awarded 1st Prize at the 4th Top of the World International Piano Competition in Tromso, Norway and then asked to replace Sir Andras Schiff with his perfromances at the Lofoten International Chamber Music Festival. 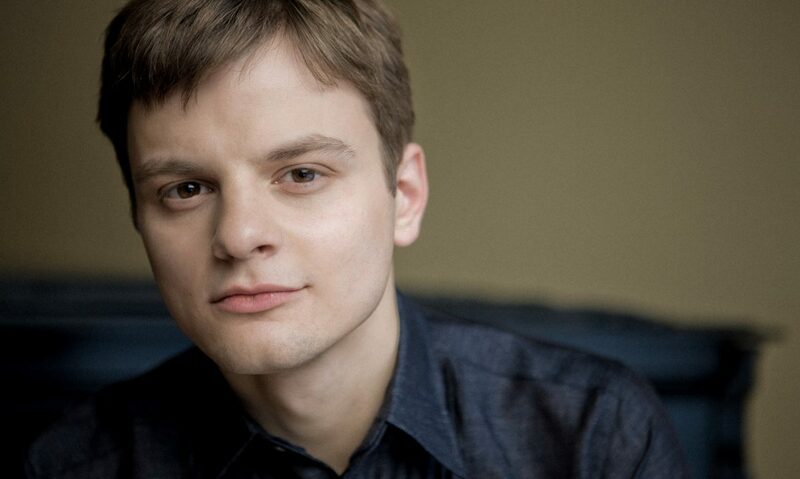 Born in 1988 in St. Petersburg, Georgy Tchaidze began to study piano and violin at the age of 7. He studied at the Moscow State Tchaikovsky Conservatory with People’s Artist of Russia, Professor Sergey Dorensky for his undergraduate degree, and earned his master’s degree at the Berlin University of the Arts with Professor Klaus Hellwig. Since September 2016, he has been artist in residence at the Queen Elisabeth Music Chapel in Belgium, under direction of Louis Lortie. Tchaidze’s reputation as a sensitive collaborative pianist is blossoming. He toured extensively with Canada’s Cecilia String Quartet and performed with the esteemed Borodin Quartet. The Calgary Herald wrote about his performance with the Borodin Quartet: “Tchaidze was magnificent, matching the experienced string players note for note to produce a performance of rare beauty and musical conviction.” His latest artistic collaborations include appearances with Cleveland Symphony Orchestra under direction of Bramwell Tovey, Forth Worth Symphony Orchestra with Leonard Slatkin, Brussels Philharmonic Orchestra under Aleksandre Bloch, with renowned Brentano String Quartet and also with such instrumentalists as Piotr Anderszewski, Stephen Kovacevich, Jean-Efflame Bavouzet, Marc-André Hamelin, Nikolai Lugansky and many others.